Lincoln, NE — As the state deals with an increasing number of felony arrests, greater availability of high-potency pot, and changing attitudes towards what federal drug enforcement officials call “the most widely available and commonly abused illicit drug in the United States,” policy makers tell NET News they have little interest in exploring what it will mean to Nebraska, where marijuana remains illegal. 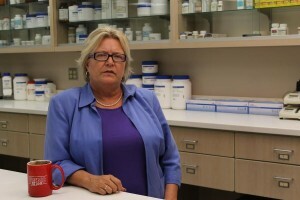 pharmacy professor teaching at theUniversity of Nebraska Medical Center. Dering-Anderson has been promoting a public discussion of marijuana policy, regardless of whether people support or oppose total legalization. “There is virtually no discussion at a public policy level and we probably should because it is clear it is at our back door,” Dering-Anderson said. NET News found no state official planning for or raising questions about the potential impact on Nebraska taxpayers or local law enforcement. Staff responsible for anti-drug programs at the Nebraska Department of Health and Human Services conceded there is no review underway of substance abuse programs for adults or youth who likely will have access to higher quantities of more potent marijuana. Since 2007, when the legal marijuana industry expanded in Colorado, neighboring states, including Nebraska witnessed a significant upward trend in the number of felony marijuana trafficking cases. Crime statistics collected and analyzed by NET News appear to contradict statements by Nebraska’s leading law enforcement officials claiming increased violations of the state’s marijuana laws are limited to “localized increases” in counties along the western border. 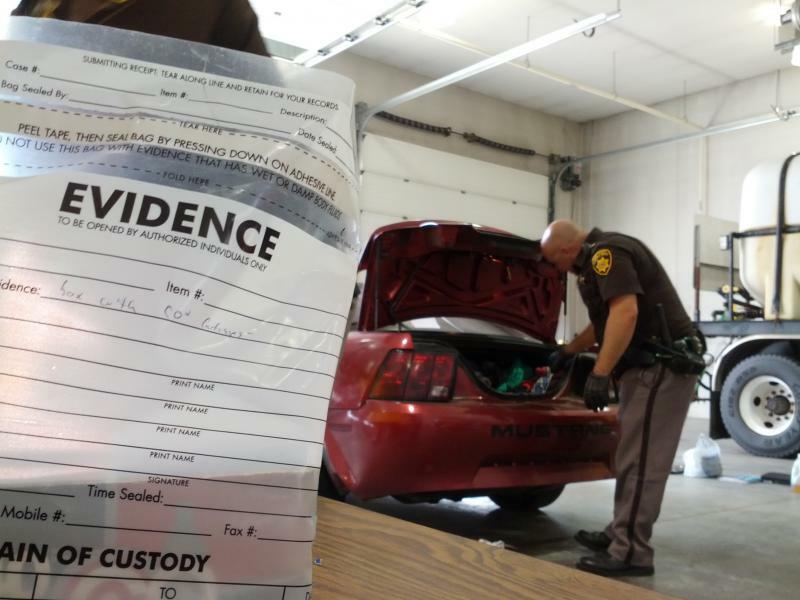 Data provided by the Nebraska State Crime Commissionshowed over the past five years there has been a 40 percent increase statewide in the number of felony charges filed for selling and transporting marijuana in the state. Arrest numbers vary county by county, but increases in sales and possession arrests were as likely to be seen in eastern counties as those along the Colorado border. Statewide, the number of cases of simple possession of marijuana remained comparatively stable during the same period. The increase in trafficking cases occurred during the same period of time the legalized medical marijuana industry has gone into high gear in Colorado, Washington and California. According to a recent study by business consultants at ArcView Research, the U.S. national legal marijuana market value has been assessed at $1.44 billion. By next year it is projected to grow to $2.34 billion, a 64 percent increase. In 2014 Overman believes “you’re going to see more. I think it’s just going to be worse now that they’ve pretty much legalized it. Legalized private use. Last year Colorado voters approved retail sales of recreational marijuana to both residents and visitors to the state. The first stores are expected to open within weeks. “Mexico is a source country. 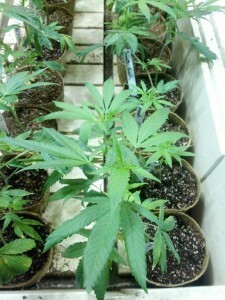 Colorado is a source state for an illegal drug coming into Nebraska,” Overman said. Colorado’s attorney general, John Suthers, acknowledges marijuana legally grown and illegally sold out of state, referred to as “diversion” in law enforcement, remains a significant issue. “The folks in Nebraska, Kansas, Utah, and Wyoming, they didn’t vote for this, but their supply is being increased by what’s going on in Colorado,” Suthers said. Suthers said in 2012 there were record seizures of Colorado-packaged marijuana: 72-hundred pounds picked up in 37 states, including Nebraska. As arrest numbers rise, state policy makers and top law enforcement officials have had no public discussion about how, or if, to respond. Most officials interviewed for this report said they preferred to take a “wait and see” approach. So far any mention of pot policy by Nebraska state officials has focused on their opposition to legalizing medical marijuana. There has been no discussion of a variety of other issues on the horizon. Dering-Anderson argues everything from the impact on taxpayers to the messages Nebraska youth are getting from neighboring states is worthy of public discussion. State Senator Ken Schilz represents District 47, covering much of the Nebraska panhandle. “Did we have any discussions with the Legislature about this? No,” Schilz said. Schilz just started thinking about the side effects of living on the Colorado border. To date the only mention of the issue came from constituents rather than lawmakers back in Lincoln. He agreed a “wait and see” approach may be best. He quickly added some issues may need the attention of state government. “If we just deny the fact that this is going on over there, and deny the fact that it could have an adverse impact over here, then we’re not doing ourselves any justice at all,” Schilz said. Attorney General Bruning said there is not enough evidence to warrant discussion of providing additional financial support to county attorneys or sheriffs facing potential increases in pot cases. “I haven’t heard any local law enforcement cry uncle about the resources it’s taking for large shipments of marijuana that come through the I-80 corridor,” Bruning said. With Colorado likely to promote ‘pot-tourism’ in 2014 Bruning dismissed the idea of launching any kind of public information campaign to remind people of the consequences for bringing their stash back home. The Nebraska State Patrol maintains there is not enough data to warrant any change in policy or approach in enforcement. Major Mark Funkhouser, commander of Investigative Service, said the patrol is “seeing some localized increases in marijuana from Colorado” but added “it’s too soon to tell” how great the effect will be on law enforcement. Data provided by the state patrol show troopers intercepted a record 7,800 pounds of marijuana last year and another 3,000 pounds so far this year. Some in local law enforcement along the I-80 corridor claim that’s only the tip of the iceberg. Nor has the state talked about re-examining it’s approach to the public health issues related to marijuana. Officials overseeing substance abuse programs for the State of Nebraska told NET News there have been no discussions about how to address increasing marijuana availability. 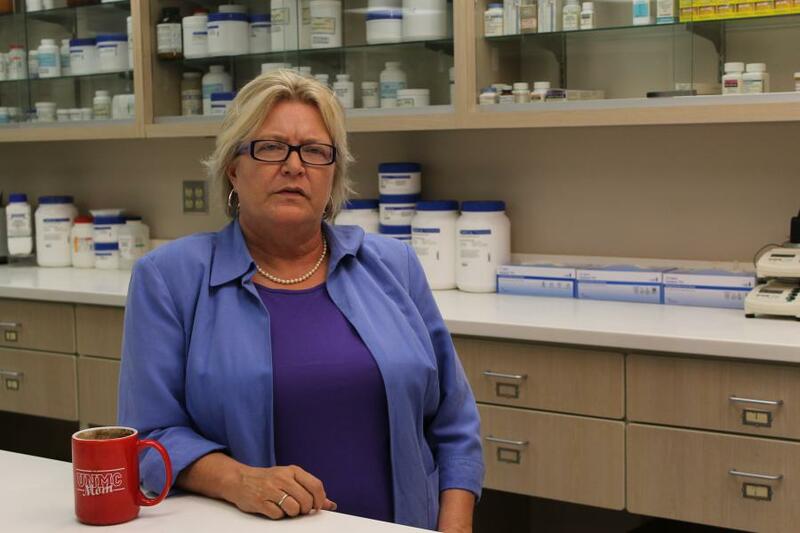 One possible issue, raised by pharmacy professor Dering-Anderson, is the mixed messages being given young people as more and more states legalize medical marijuana. She pointed out much of western Nebraska gets its news from Denver-based media. While public debate is scarce in state government, one group decided voters should have the opportunity to weigh in. A petition drive is underway to make Nebraska the 21st state to legalize medical marijuana. If they collect enough signatures it would place the question on the ballot next fall. 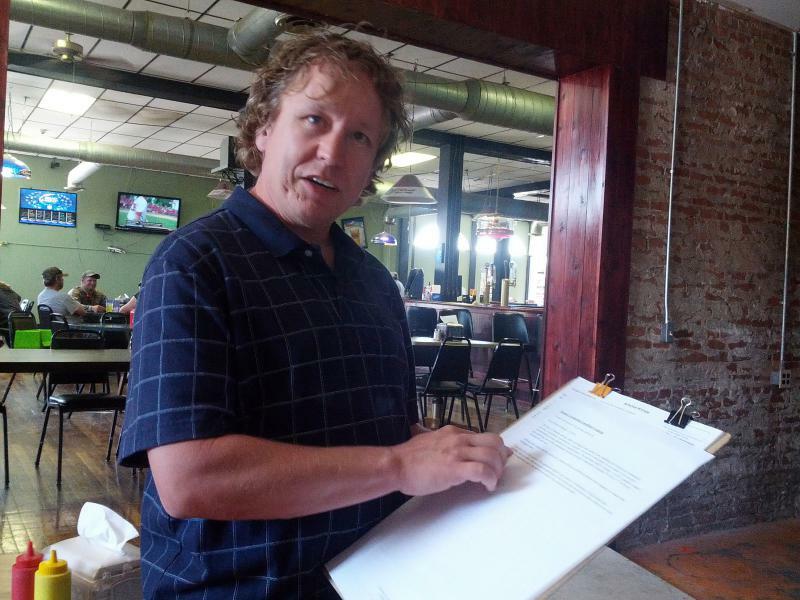 Smith, a resident of McCook, pointed out national public opinion polls are showing majority support of marijuana legalization for the first time. He believes what is happening next-door changed opinions in Nebraska.